Our courses are designed with your future careers in mind. Always in high demand, food scientists have a key role in our society, finding careers in food production, food analysis and food quality. Through our industrial and professional links, we ensure our courses are current and have a real impact on our students’ future employability. Field trips and visiting practitioners mean students receive industry input first hand. Because of its practical nature, Food Science can take you in many directions. Throughout the food industry our graduates are working in a variety of areas: nutritional analysis, new product development, sustainability strategy, sensory analysis, and compliance in the areas of hygiene, legislation and quality assurance. For more information, search our courses. Our bakery courses are developed in partnership with some of the profession’s major institutions. Among these are the Worshipful Company of Bakers – the City of London's second oldest recorded guild, dating back to 1155. 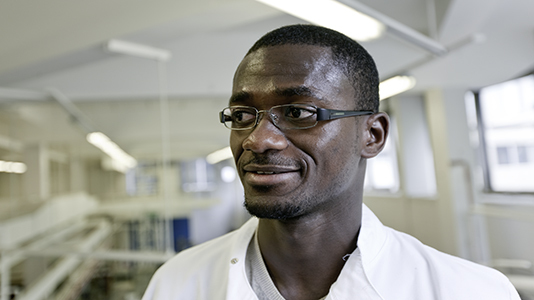 Many of our graduates look to build their own business and choose LSBU for our strong entrepreneurial interests. The National Bakery School has helped students secure placements with notable names in the baking industry such as Hovis, Harrods and Prime Bake. Read more about Student Enterprise at LSBU.